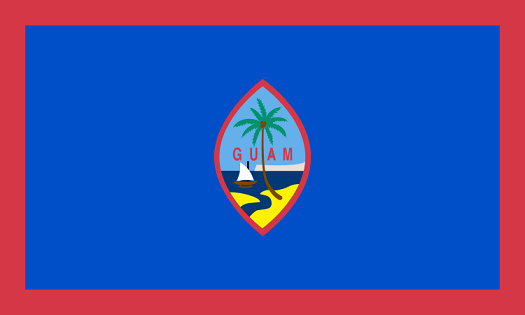 Guam's flag was adopted on February 9th, 1948. The flag is dark blue with a narrow red border along each of the four sides. In the center of a flag is a pointed vertical ellipse, which is also borded in red. The ellipse contains a beach scene including a palm tree and outrigger canoe, overlaid with the word GUAM written in red letters. Beach Towel Flag Of Guam 80" X 130" Soft Lightweight Absorbent For Bath Swimming Pool Yoga Pilates Picnic Blanket Towels This Bath Towel Can Make Your Life Full Of Colors, Leave The Traditional Bath Towel, Enjoy The Personalized Printed Bath Towel, Feel Super Soft And Super Absorbent. A Great Gift For Anyone That Wants To Have A Stylish Beach Towel, Bathroom Towel, Wrap, Sarong, Blanket Or Scarf. You Are Going To Love The Comfort, Warmth And Feel That These Great Towels Will Provide.